Enni Vekkeli brings to shch-gallery a 3 - channelled animation titled Spirit - Mother - Daughter. In the animation the acts of turning and facing, dismantling masklike hands, and revealing the face, are repeated. The title Spirit - Mother – Daughterrefers to the thoughts of philosopher Luce Irigaray. Irigaray wonders how should women place them self in the search of perfection, as the image of perfect/godlike has often been a masculine projection in our/christian culture. Irigaray is hardly only a thinker, who is worried about the potential of feminine being dramatically unseen and therefore un existing. Vekkeli shares the thoughts of Irigaray, that it is impossible for a person to be fully her/him self as long as people - let it be any minority - are seen as members of a certain group and not as persons on their own. Though there is critical thinking behind the work of art, the artist is encouraging the viewer to approach it just as an act of poetry. 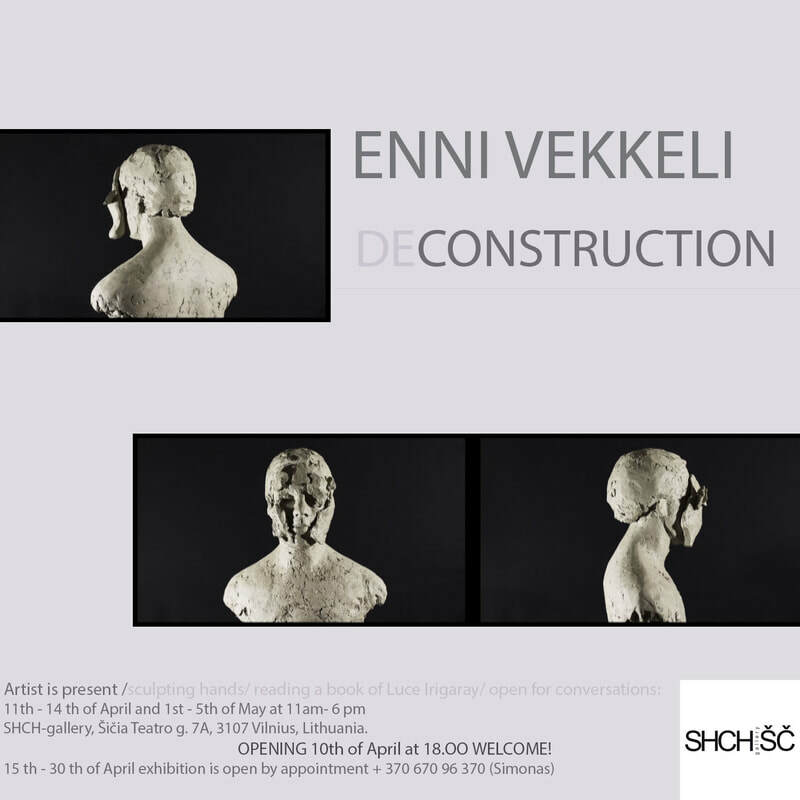 In her recent works Vekkeli has often been using clay – for a ceramic sculpture - or more often as a material of stop-motion animation. When used for animation, heaviness and materiality of clay is being digitalized into immaterial, 2-dimensional layer. Sculpture is brought from space to time and the rhythm becomes an important element. In shch- gallery the play of dimensions, time and space is taken still a step further to a spatial installation. 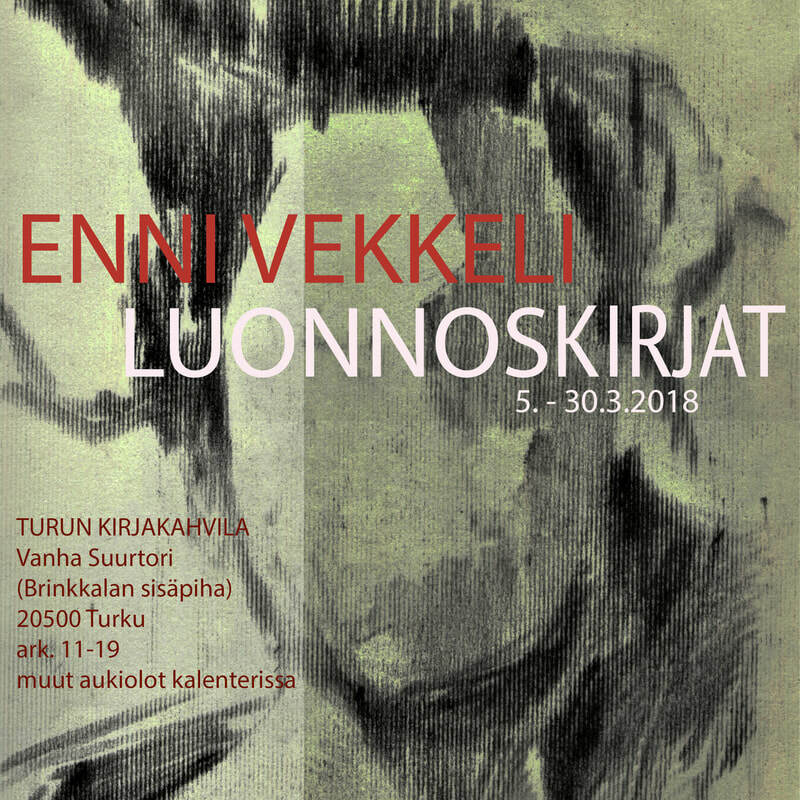 Enni Vekkeli is a visual artist living and working in Imatra, Finland. Her work covers artistic fields of video, installation, animation and drawing. The sound design is made by Tuomas Ollikainen. He is a sculptor living and working in Joensuu, Finland.